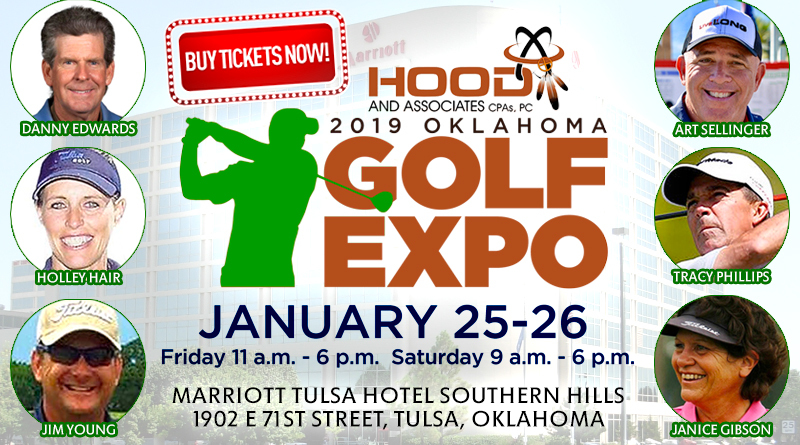 The Hood and Associates Oklahoma Golf Expo is back with a new location, new sponsor, dynamic new speakers and, as usual, great bargains for all. The highly-respected CPA firm of Hood and Associates, with offices in Tulsa, Claremore and Bartlesville, is the new title sponsor, while the venue will move to the Tulsa Marriott at Southern Hills near the intersection of 71st Street South and Lewis Avenue, easily accessible from anywhere in northeastern Oklahoma as it is just minutes from Highway 75, Interstate 44 and the Creek Turnpike. The Hood and Associates Oklahoma Golf Expo is shaping up to be a great two-day golf party where visitors can test the latest equipment from the major manufacturers, find great deals on equipment and apparel, learn about wonderful regional golf destinations, win fantastic door prizes, compete via TrackMan and Foresight in straightest drive, closest to the pin, putting and other fun contests. Guest speakers will include two-time world long drive champion and LDA founder Art Sellinger, five-time PGA Tour winner and Oklahoma golf legend Danny Edwards as well as a lineup of tremendous local instructors such as Tracy Phillips, Jim Young, Holley Hair and Janice Gibson. The indoor hitting net will feature representatives from major manufacturers including Ping, Taylormade, Titleist, Callaway and Cleveland, as well as two contests and a representative from GolfTec Tulsa. The closest to the pin contest will be held at Pebble Beach Golf Club via the Foresight and Toptracer technology available at FlyingTee. 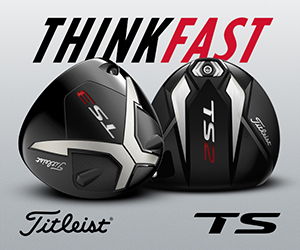 The straightest drive will be held via Trackman courtesy of Tour Quality Golf. Tickets are available in advance on the website www.golfoklahoma.org for $9 for regular price and $7 for seniors 65 and over. Tickets at the door will be $10 and $8 dollars for seniors. Speaker and demo schedules are available at www.golfoklahoma.org, just click on the Expo tab. Show hours are 11 a.m. to 6 p.m. Friday Jan. 25 and 9 a.m. to 6 p.m. Saturday Jan. 26. There will be a Happy Hour Friday from 3 p.m. to 6 p.m. with live music free beer while it lasts, a visit from the Hooters Girls and $6 entry for all. Providing the tunes will be legendary Oklahoma blues and rock guitarist Mark Galloway and equally talented bass player Jerry Wilson. Just for attending, patrons will be given the new Lake of the Ozarks Golf Trail Giveaway Passport . With the Passport, you receive complimentary greens fees at all 13 of the Lake of the Ozarks’ incredible courses. All you’ll have to pay is a minimal cart fee each time you play. The PGA Golf Pass offering free rounds at more than 100 courses in Oklahoma, Arkansas and southern Kansas will also be available for a special show rate of $40, nearly a 20 percent discount. 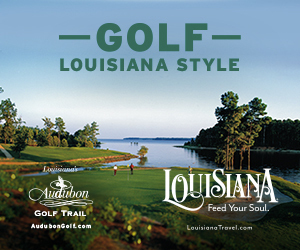 The list of door prizes that attendees will win includes complete iron sets, golf for four at Shangri-La Resort, four weeklong passes to the 2021 KitchenAid Senior PGA Championship at Southern Hills, the 2019 PGA Tour Charles Schwab Challenge tournament at historic Colonial Country Club and the 2019 Walmart Northwest Arkansas Championship on the LPGA tour, new drivers, wedges, balls and dozens more amazing gifts from our exhibitors and sponsors. A hugely entertaining and informative lineup of speakers will grace the 2019 Hood and Associates Oklahoma Golf Expo. Five-time PGA Tour champion and golf innovator and business leader Danny Edwards and two-time World Long Drive Champion and LDA founder Art Sellinger, both are lively and entertaining speakers and will be on stage both Friday and Saturday. 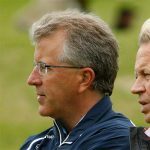 Edwards will explain a new chipping system he has devised called The Chipping Equation, which simplifies the setup and ball striking needed to consistently save shots around the green. Tracy Phillips, whom many regard as the teaching equal of his mentor Hank Haney, will be on stage Saturday. Phillips, a renowned short game wizard, is now the director of instruction at FlyingTee in Jenks. Janice Gibson, the executive director of The First Tee of Tulsa, will give a clinic oriented towards juniors at 10 a.m. on Saturday. Following her talk there will be a special SNAG Golf contest in the lobby with great prizes for juniors 14 and under. For those wondering about all the new rules in 2019, don’t miss the Saturday seminar by Holley Hair, director of instruction at LaFortune Park Golf Course and former University of Tulsa head coach and national champion player. The 1969 Oklahoma State High School golf champion from Edmond, a three-time All-American at Oklahoma State, Member 1973 US Walker Cup Team, 5 Time Winner on the PGA Tour plus Winner Japanese Masters Tournament, selected One of the “Top 100 Professional Golfers” of the Modern Era (Golf Digest Magazine), competed in over 50 Major Championships including 7 Masters Tournaments, Founder Executive Golf Outings, Founder Royal Grip, Inc., Founder GreenFix Golf Inc., professional race car driver for Kaufmann Racing and his latest venture “The Chipping Equation”. A two-time National Long Drive Champion and founder of the Long Drivers of America (LDA), Sellinger has performed over 2,100 shows in 30 countries. He played professionally across the globe and has produced and commentated on more than 40 long drive shows for ESPN. Owns Sellinger’s Power Golf Studios. The nation’s top-ranked junior in 1979 and 1980, Phillips has a long and distinguished teaching career including stops at Tee Town Golf Ranch, Cedar Ridge Country Club and now director of instruction at FlyingTee. He still excels on the course as well, winning South Central Section Player of the Year honors in 2011 and Senior Player of the Year honors in 2014 and 2015. PGA Teaching Professional Jim Young from River Oaks Golf Club in Edmond. Jim is a native Tulsan, graduating from Jenks High School in 1988. Jim played collegiately at the University of Kansas, graduating in 1993. Jim was the South Central Section PGA Player of the Year in 2018. He has also been named SCPGA Western Oklahoma Teacher of the Year in 2015 and 2017 and was awarded the Western Oklahoma Player Development Award in 2016 and 2017. Jim currently lives in Edmond with his wife Ann and their two sons. The Executive Director of the First Tee of Tulsa, Gibson is a member of the Oklahoma Golf Hall of Fame and this month was inducted into the Tulsa Public Schools Athletics Hall of Fame. A long-time competitor on the LPGA Tour and former All-American at Oklahoma State, Gibson has helped build the Tulsa First Tee Chapter into an amazing success story, reaching tens of thousands of young folks each year from its home at Mohawk Park and through its outreach programs in schools and communities. Holley is the director of instruction at LaFortune Park Golf Course in Tulsa. A former co-owner of Tee Town Golf Ranch and the head coach of the University of Tulsa women’s golf team from 2002-2006, Hair was a member of the TU team from 1981-85. The 1982 team won both the NCAA and AIAW national championships. She has been a three-time LPGA Central Section Teacher of the Year.